Motorola Inc was founded in 25th September, 1958. It is a multinational telecommunication company and is headquartered in Illinois. The company had been divided into 2 independent public companies - Motorola Solutions and Motorola Mobility when it lost around $4.3 billion in between 2007 and 2009. Whereas Motorola Solutions is considered as direct successor of the company, Google Inc has acquired Motorola Mobility on August 2011 for $12.5 billion. The company designs and sells wireless network infrastructural equipments like signal amplifiers and cellular transmission base stations. Dan Moloney is the President and Sanjay Jha is Chairman and CEO of the company. There are currently 0 consumer reviews about Motorola available. Share your review. 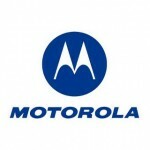 Please take a note that you are about to post a public review about Motorola corporate office on CorporateOffice.com. This review will be public, so please do not post any of your personal information on this website. If you would like to contact the corporate offices of Motorola, please use their contact information such as their phone number, website, and address listed above to contact them. However, sometimes staff from Motorola headquarters do read the reviews on this website.